A recent study of the residential patterns in the Detroit area and the availability of employment shed light on the contradictory claims being made by the corporate media saying that the majority African American city is undergoing an economic resurgence. Present patterns of de facto segregated housing contributes immensely to the crisis but cannot explain the problems in their entirety. Racism in hiring practices as well as substandard educational opportunities is a direct result of the virtual outlawing of affirmative action and the disinvestment in schooling and public services. Corporations that took jobs out of the city are heavily responsible for the present situation. Successive administrations in Washington and Lansing, the state capitol, have refused to initiate jobs programs that could employ hundreds of thousands of people on a permanent basis. With the decline in jobs, the outmigration of population groups and subsequent falling tax revenues, the city was forced to borrow from banks which ensnarled the municipality into predatory arrangements that drained Detroit further. All of this came to a head during the Great Recession of 2007-2009, precipitating disastrous consequences. The City of Detroit was forced into emergency management and bankruptcy during 2013-2014 under the guise of the need for a major restructuring of its finances. Within the process of the suspension of bourgeois democratic rights, municipal employees, retirees and residents witnessed the wholesale theft of at least $7 billion in healthcare and pension benefits as well as the selling off and seizure by the state of public assets such as Belle Isle, the Detroit Water and Sewerage Department, Detroit Public Works, the Detroit Institute of Arts (DIA), etc. In a controversial mayoral election in 2013, Mike Duggan, a then resident of Livonia, one of the most segregated cities in the United States, ostensibly won a write-in election against former police chief and Wayne County Sheriff Bennie Napoleon. Duggan had served as the chief executive officer (CEO) of the Detroit Medical Center where it was privatized during his tenure. At present hundreds of millions of dollars in tax breaks are being given to two leading billionaires whose businesses are based in the downtown area. Pizza magnate Mike Illitch, who owns the Detroit Tigers, and Dan Gilbert, CEO of Quicken Loans, have reaped the benefits of the restructuring through donated public land and real estate speculation funded through taxes. None of this large-scale transferal of wealth and denial of civil and economic rights has trickled down to benefit the majority African American city. Poverty, joblessness, educational decline, water shut-offs, foreclosures and evictions continue unabated. Despite the cheerleading for the rich carried out by the corporate newspapers, television and radio stations, there is still large scale unemployment and poverty in the city. Tens of thousands are facing foreclosure, evictions and utility shut-offs. The largest property tax foreclosures will be carried out within weeks. Thousands of homes are threatened with auction to so-called “real estate developers”, many of whom do not live in the city or its environs. Dan Gilbert of Quicken Loans chairs the Detroit Blight Removal Task Force which targets properties throughout the city for seizure through the Detroit Land Bank Authority (DLBA). The principal focus of the Land Bank is residential properties and not the thousands of abandoned factories, warehouses, commercial structures and schools. There has been no effort on the part of the Duggan administration or the Land Bank to take legal action against the financial institutions and corporations which looted the city for decades resulting in the current blight. Over $200 million remain in state coffers which were allocated under the federal Hardest Hit Fund in 2009, yet the Wayne County Treasurer or other public officials have not sought to file suit against the state and the U.S. Treasury Department for the failure of Lansing to utilize the funds to keep people in their homes. Tens of millions of those dollars are being misused by Gilbert and his Task Force to tear down homes that could easily be rehabilitated for habitation creating thousands of jobs and revitalizing communities. Gilbert at present is being sued by the Department of Justice for mishandling Federal Housing Administration (FHA) loans. A state review of the finances of Wayne County in July has led to the adoption of a consent agreement aimed at avoiding emergency management and bankruptcy, as was experienced by the city government. Nonetheless, this agreement will undoubtedly result in vicious attacks on county workers and retirees. Economic ‘development projects’ are geared towards the maximization of profits for the rich utilizing expropriated public assets and tax revenues. 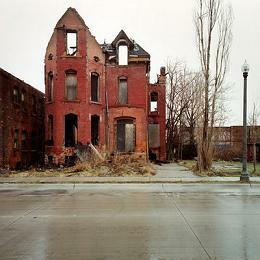 The people of Detroit are being denied the right to decide how public funds are being utilized in the city. A petition drive is underway to place the proposed regionalization of the water system on a ballot initiative. Dispossessed retirees for the City have created an organization, The Detroit Active and Retirees Association (DAREA), which is spearheading the petition drive in addition to playing a leading role in other community activities. This burgeoning struggle will be the focus of an upcoming People’s Assembly and Speak Out on Aug. 29 in downtown Detroit. Thousands of pieces of literature have been distributed across the city calling on people to attend the public meeting at Grand Circus Park downtown. The Moratorium NOW! Coalition made the call for the gathering which has been endorsed by several local and national organizations. Thousands of leaflets for the event were passed out at the African World Festival during Aug. 14-16 at the Charles H. Wright Museum of African American History in Midtown. Issues which will be discussed includes the rise in police killings of civilians; the demand for a federal and bank-funded jobs program to rebuild the city; the restoration of public control of the Detroit Public Schools under emergency management in one form or another for the last decade-and-a-half; an end to foreclosures, evictions and utility shut-offs; the release of the hardest hit funds; freedom for Michigan political prisoner Rev. Edward Pinkney; support for African American shop owners and taxi drivers being driven out of downtown; among other related themes.